If I stare at a color for 30 seconds and it burns my retinas so I see spots when I look away, I'll probably want to wear it, decorate with it, or just surround myself with it. If you a pair it with my most favorite pattern in the whole world - stripes - well, GAME OVER! My willpower to resist is three sheets to the wind, and I'm probably already forking over the cash. 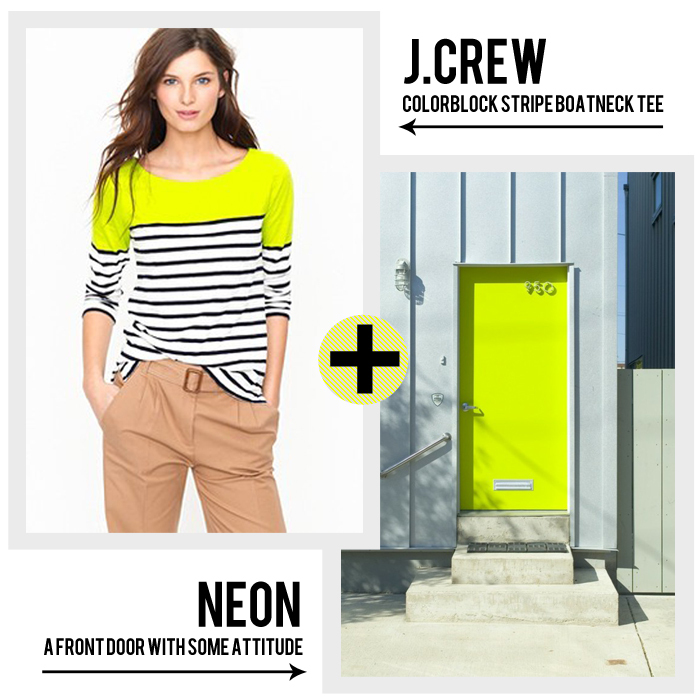 In this case, it is this super rad colorblock stripe boatneck tee from J.Crew. Not to mention that shocking door painted in a blinding yellow...I can totally see this painted on a cool beach bungalow. Can't get enough of the stuff! If I could transform into a highlighter, I would be pleased as punch. I say you find out THIS WEEKEND!! I like the top but this seems dangerous for your retinas, no? Be careful please. I'm worried about you. Don't worry....I put these beauties on before writing the post. 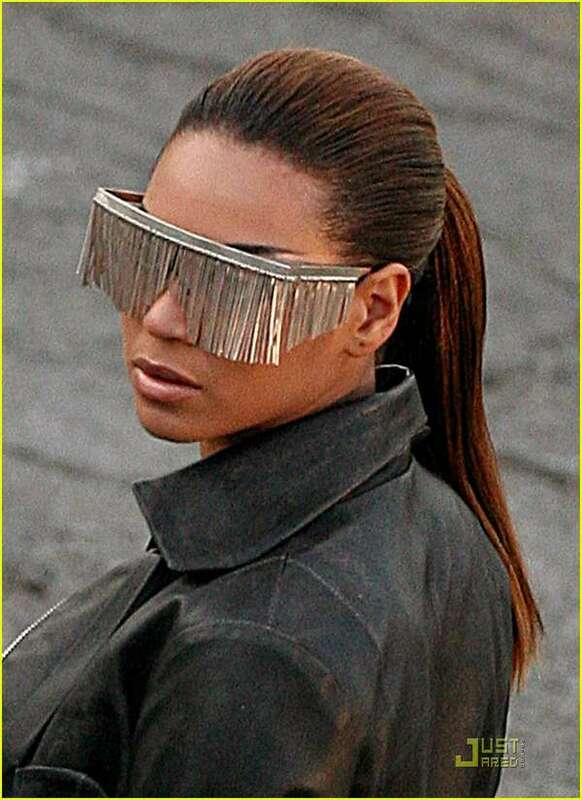 What would I do without my signature tasseled shades?? I keep considering that top (and the pink one) but then feel guilty about some random recent purchase and decide to wait on the $45 t-shirt. Then I buy another thing 2 days later. I should just click checkout already, huh?